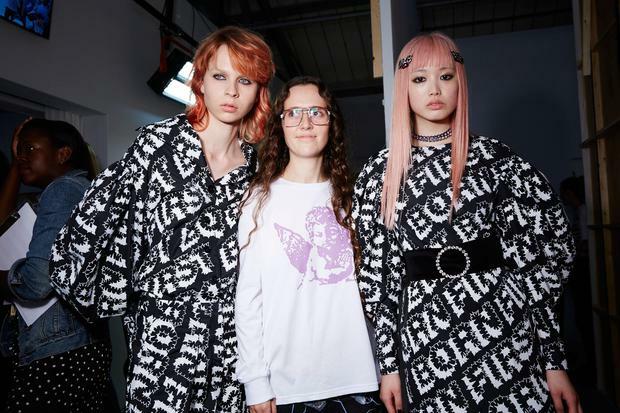 During Ashley Williams' killer SS17 show, we were treated to a re-imagination of a teenager's bedroom (including one girl who actually cut her hair) and relived our youth for just a few fleeting moments. We spoke to the woman behind the style - lead hair stylist Indira Schauwecker, the Global Hair Ambassador for Toni & Guy products who taught us a thing or two about how it's done. 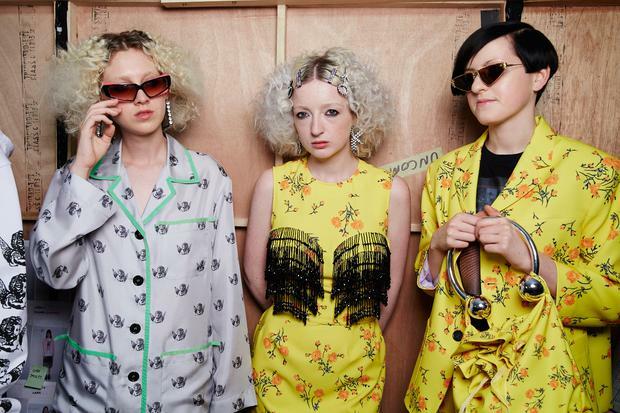 The inspiration behind the British designer's teenage dream was inspired by the freedom of teenage experimentation, with Cyndi Lauper leading the charge. As part of the show, which comprised largely of non-models who were cast on the street before making their runway debut, we went backstage to meet Indira and get some tips from the top. 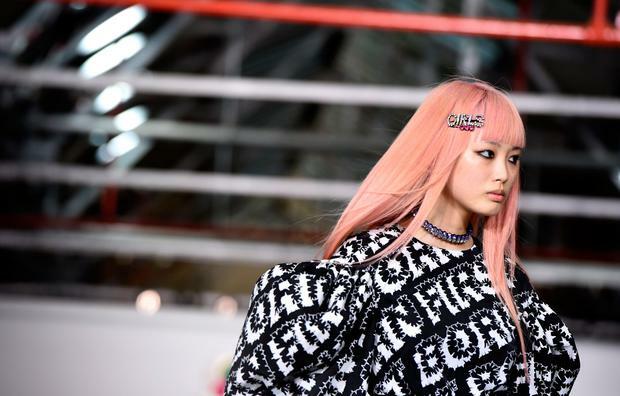 She explained the inspiration behind the hair was looking at the late '80s and early '90s and finding ways to "be outstanding...a little different" for teenagers. "The main look that we're trying to give you is a bit late '80s, which I think will be a big hit in fashion this season. We'll start by using a protection spray because we're using straightening irons and then the texture tousled hair spray for every section we take," Indira tell us. "Then, we use the ends of coat hangers and put the hair in bunches and weave it around like a number eight. Then we'll use a straightening iron to set it. "We'll so the whole head. We're going to let that cool down, take it out of the pin and then going to use the dry shampoo just underneath, then just use our finger through the top area - two different textures, one will be a little more fluffy underneath, the top will be more detail of a zig zag. "That's the main look of the show." So, how can you do it at home? 1. Begin with almost dry hair and apply a layer of heat protection mist throughout. For extra volume, apply some dry shampoo to the roors. 2. Weave the hair in and out of an open hair pin and repeat until woven through all pins. 3. Gently unwind each section and brush with your fingers to merge the sections. 4. Finally, brush using a thick bristle brush. Prep is the key to creating the kink. 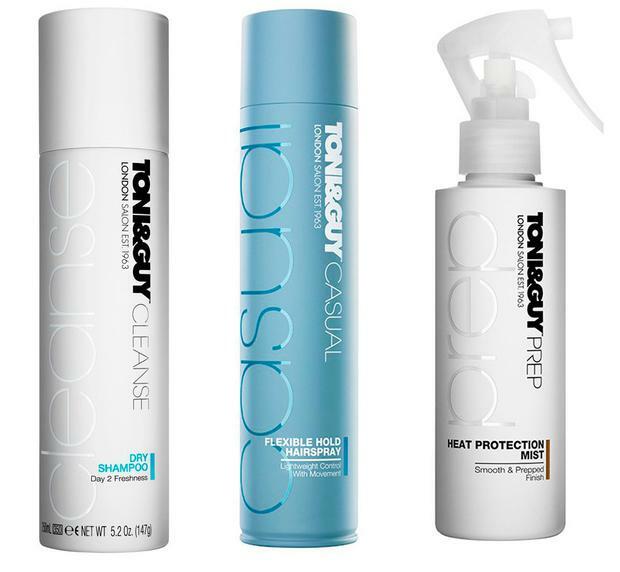 Make sure hair is close to being completely dry before applying a protection mist – this will not only protect the hair from heat styling but will also give the hair a soft and smooth finish to ensure hair has a healthy shine. With thanks to Toni & Guy.